These photos were sent to me by Rodney Shaw, ex of Aston, now of California USA. 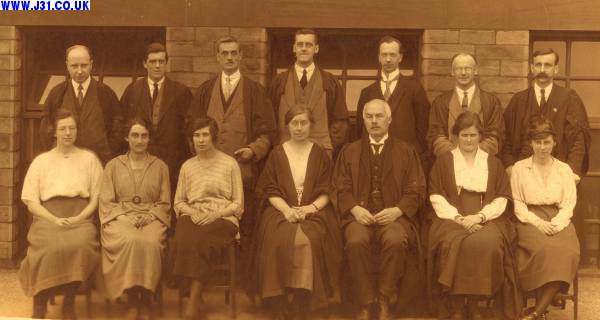 They are of Woodhouse Grammar School in the early 1920s. Unfortunately Rodney's photos don't list the names of the staff or pupils, so if anyone can put names to faces please get in touch. See also WGS 1950s photos and essay by Jon Layne, and Geoff Hamer's classes of 1944/46 photos. All the male staff except Mr Buckley were still there Jon Layne started WGS in 1946. See also WGS 1950s photos and essay by Jon Layne, and Geoff Hamer's classes of 1944/46 photos.